Lesterlin has been delving into the Woodstock Historical Society archives and interviewing local eiders to assemble a lecture/dance/performance piece entitled Overlook, which she will present as a work-in-progress at the Historical Society’s Eames House on Comeau Drive on Saturday, August 30, at 7 p.m. She has chosen to focus on the period of change when the Byrdcliffe and Maverick art colonies injected the creative, freewheeling spirit that has been the town’s hallmark since the early 1900s. Jack Magai and I weathered the rain yesterday at Olana – performing our improvised duet “Geographica” for the full three hours! The audience listened to the sound-score with personal radios and headsets, under umbrellas and hoods. Gloomy and mysterious with fog and clouds rolling in and out. An afternoon suspended between imaginary realms and the insistent drama of reality. I love this image. I came across it as I researched for Overlook, the lecture/performance that I’ll be showing a snippet of this Saturday. 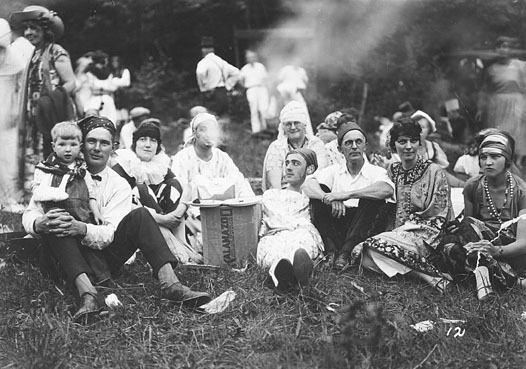 It’s of the Allen family at one of the infamous Maverick festivals in Woodstock in the 1920s. Everyone wore a costume because the entrance fee was doubled if you didn’t and in any case, it was the thing to do. Parallel processing happening over here as I create two new shows this summer. Both of these new works have been made from source material drawn from historic archives, and both play with the relationship between past and present, history and fiction, art and life. I will show a first version of Overlook in a work-in-progress performance on August 30th at the Historical Society in Woodstock NY. 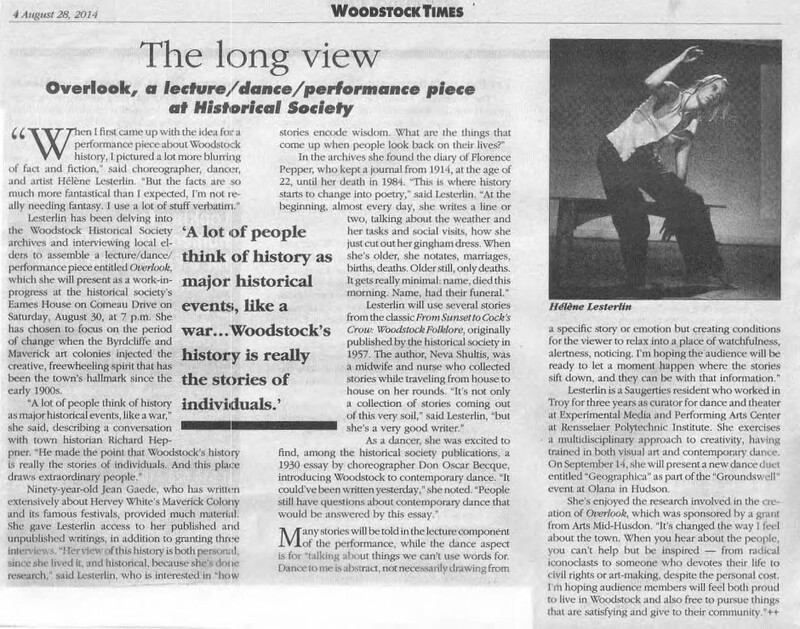 In this piece, I begin by seeming to give a lecture on the eye-opening origins of Woodstock’s art colonies, then it devolves (or evolves) into a dance. 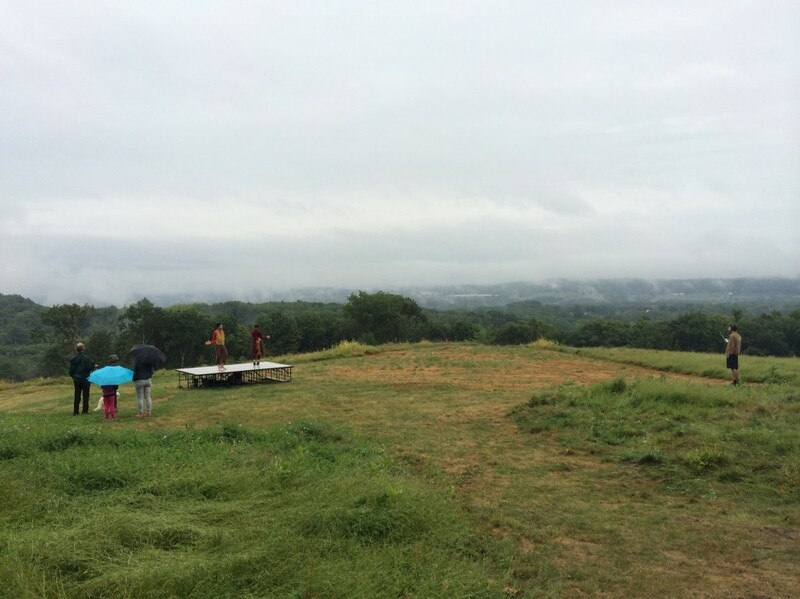 On September 13th, Jack Magai and I will perform our epic three hour-long Geographica,a site-specific work created with a backdrop of magnificent aery landscape, seen from the hilltop grounds of the Olana State Historic Site in Hudson NY. The sound for the piece is audible via radio transmission (you can bring your own radio if you’d like, but headphones and radios will be provided). If you haven’t been to Olana yet, Groundswell is a perfect reason to go – an afternoon of sound, installation, art and performance presented by Wave Farm and the Olana Partnership. Tickets on sale now! Hope to see you soon at one of these events! 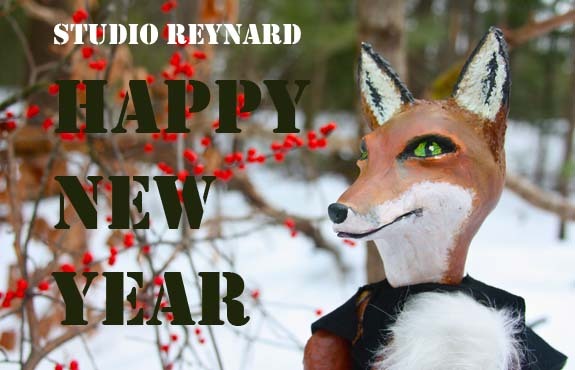 Reynard at St. Ann’s Warehouse! Come see the first incarnation of “Fox vs. Kingdom” – live music and puppetry tell the tale of Reynard the Fox. Shows are on May 30, 31 and June 1! BUY TICKETS : PROGRAM B, part of Labapalooza! – a festival of new puppet theater at St. Ann’s Warehouse, NYC. Tickets are going fast – snap yours up now! Hot off the press! An article I wrote for the series “Dance and the Museum”, published by Critical Correnspondence / Movement Research, NYC. New Year’s Resolution: DANCE MORE! 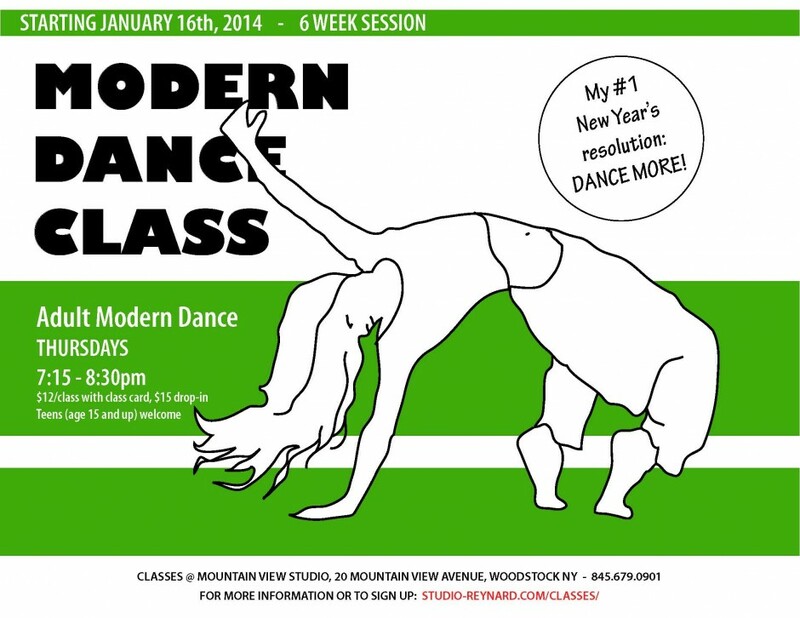 Come join us as we tackle at least one of these resolutions: move, dance, breathe, roll, stretch, strengthen, laugh MORE! Sign up now! Wishing you good cheer for 2014! As we gear up for the new year, and look ahead to building our capacity to offer events, performances, classes and workshops, we are taking a moment to pause and reflect on the riches of the past year. We are so grateful to you, our supporters, who have made it all possible! Best wishes for the holidays and happy new year! By popular request, I am canceling class on Halloween so we can all spook out. Have fun!